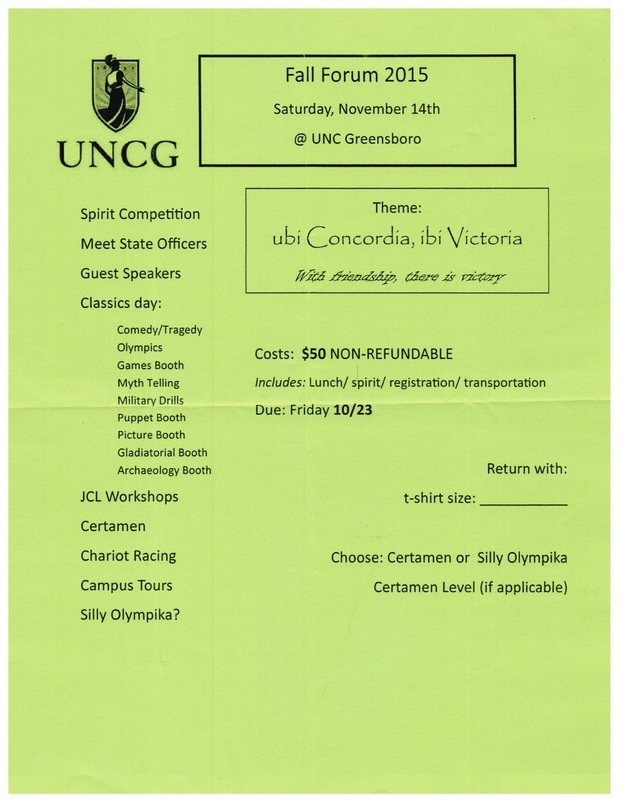 On November 14th, we will be making our way up to Greensboro to attend the UNCG Fall Forum. Booths will be set up for you to learn more about Latin and other classical languages. Our new chariot will hopefully be competing in the annual chariot race to get ready for the big-leagues at the UNC convention this spring. This year Fall Forum costs $50 to cover T-Shirts, transportation, and lunch expenses. These will be due October 23rd. Hope to see you there!